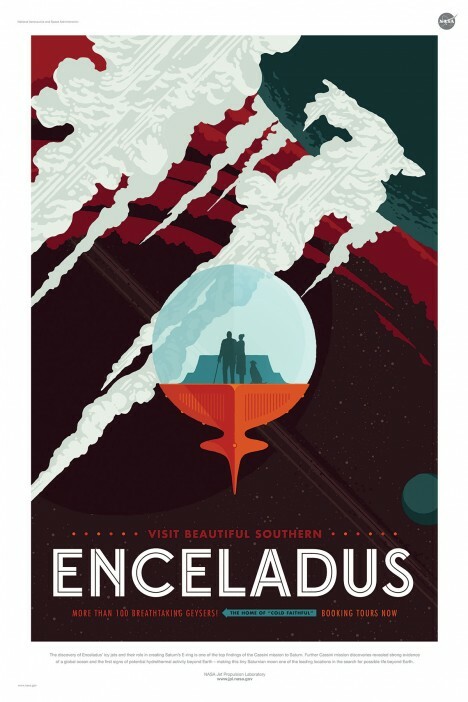 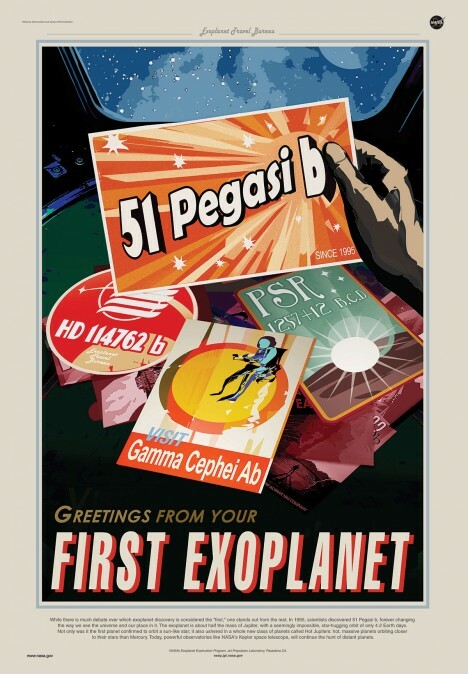 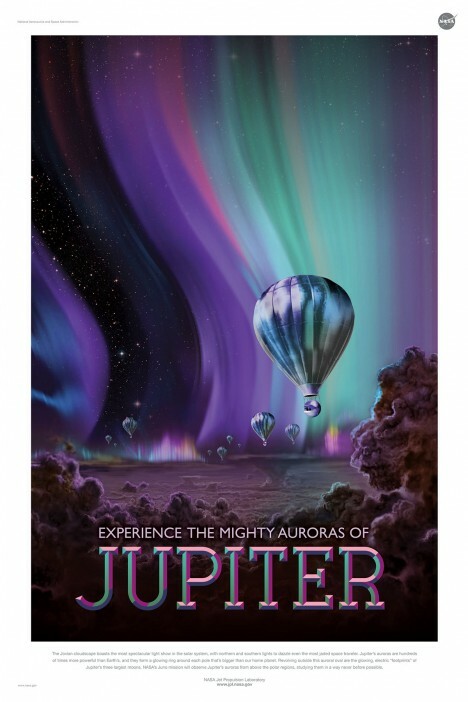 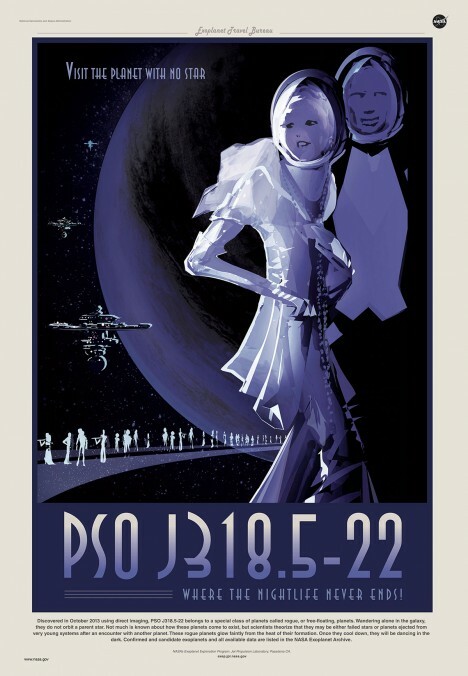 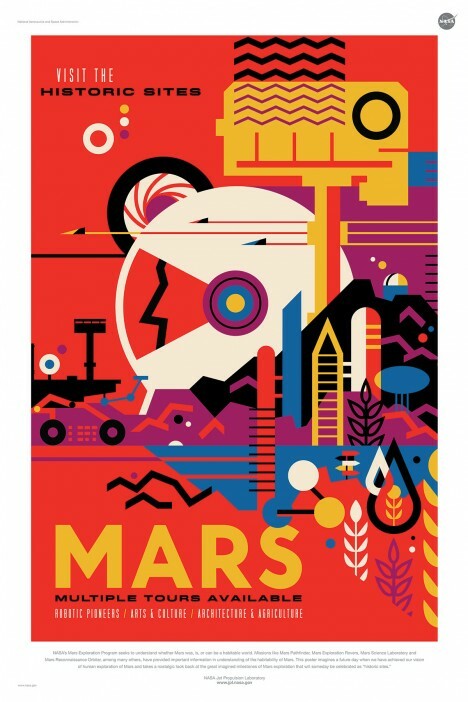 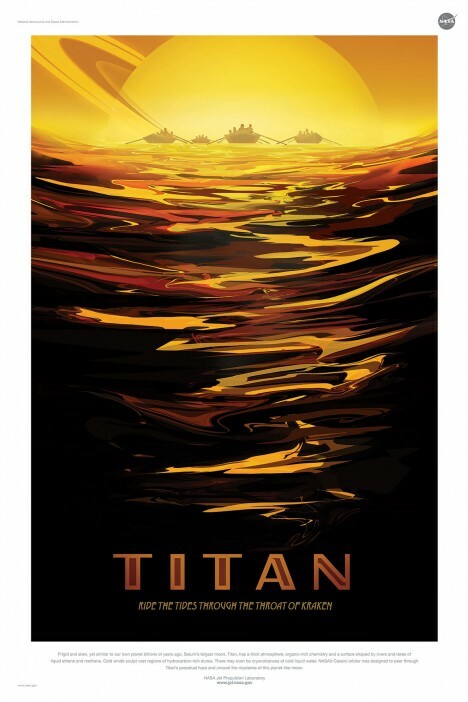 Continuing where its epic series of exoplanetary travel posters left off, these new designs by NASA for cosmic tourists are hyperbolic but beautiful, a visual treat but also a good reminder that we should keep pushing for the stars. 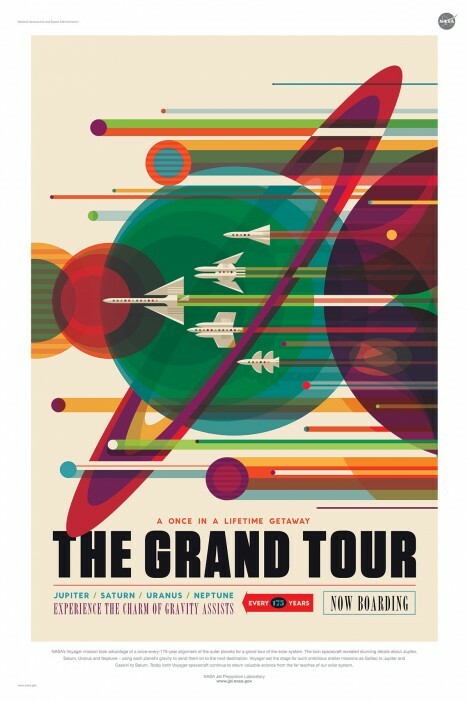 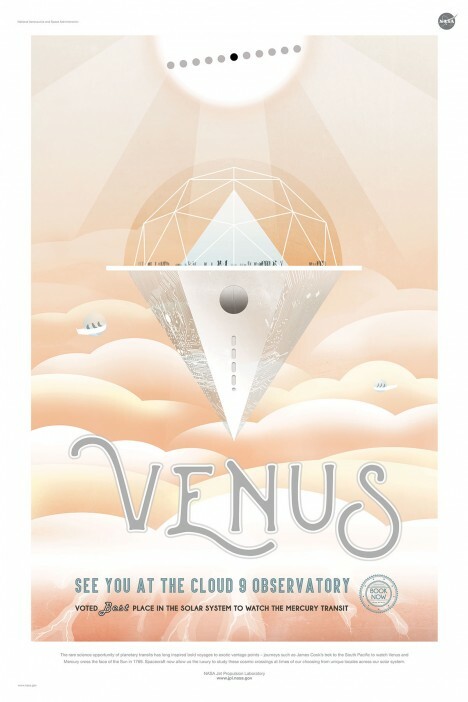 The posters were created by the Jet Propulsion Laboratory’s design studio, assembled to help scientists plan future missions but also to connect those ideas back to the public, familiar as they are with even the most extreme notions tossed about by NASA. 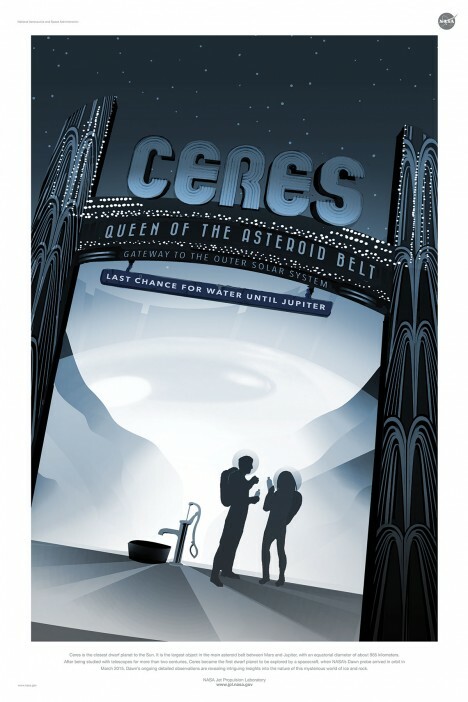 Ceres, queen of the asteroid belt and gateway to the outer solar system, comes with a warning: last water before Jupiter! 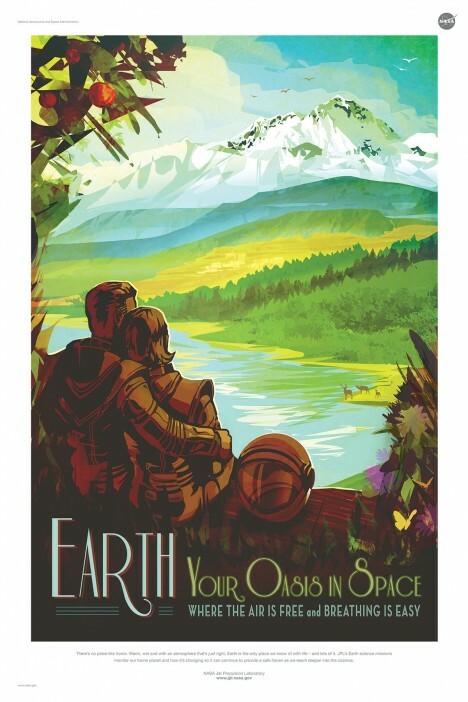 Or, for those already living out in space, Earth can make a nice pit stop as you move through and beyond the local planetary systems. 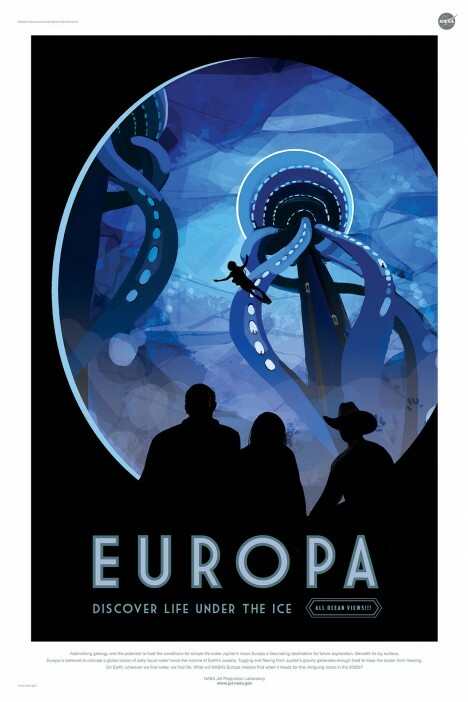 Having seen the (somewhat scary) movie, some of us are still hoping to find life on Europa, whatever the risks.